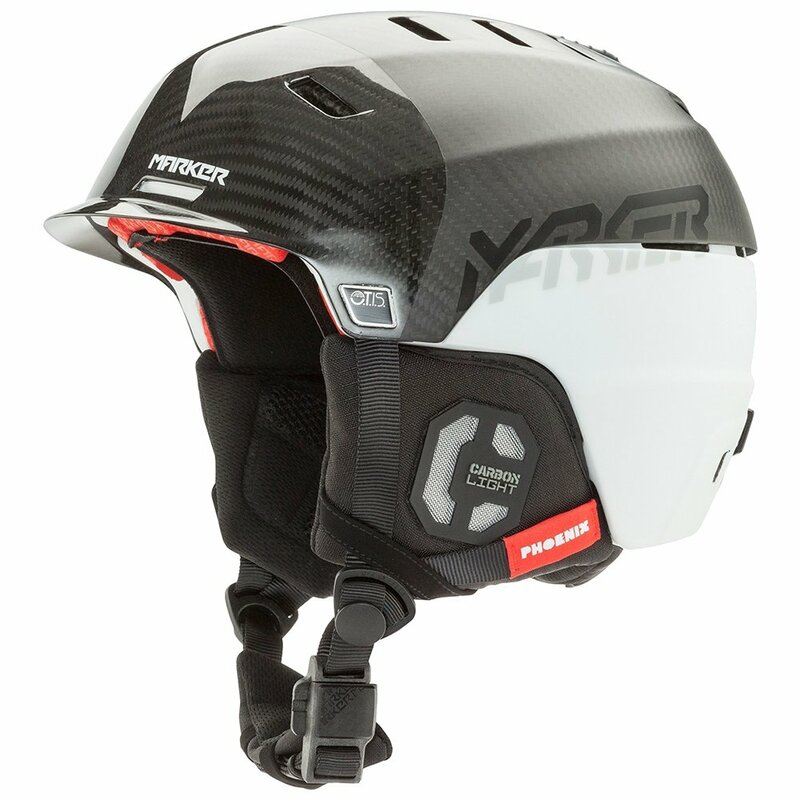 All the technology packed into the Marker Phoenix Carbon Helmet is focused on one thing- making your time on the mountain as safe as possible. The MAP protection Pads that surround your head are part of Marker's OTIS system that allows them to move freely within the layers of protection, meaning you get additional protection against high-angle impacts, giving you more confidence to push yourself on the mountain. The lightweight hybrid construction ensures comfort while you wear it, and thanks to the Carbon Top Shell weight is reduced even further. "Can you please confirm the weight of the helmet?" "The weight of this helmet in a medium size is 1.2 pounds, and the weight of this helmet in a large size is 1.3 pounds!"